J. K. Rowling lives with her family in Edinburgh. Harry Potter and the Philosopher's Stone was her first novel, followed by Harry Potter and the Chamber of Secrets, Harry Potter and the Prisoner of Azkaban, Harry Potter and the Goblet of Fire, Harry Potter and the Order of the Phoenix and Harry Potter and the Half-Blood Prince as well as two books written specifically for Comic Relief and based on the Harry Potter novels, Fantastic Beasts and where to Find Them and Quidditch through the Ages. 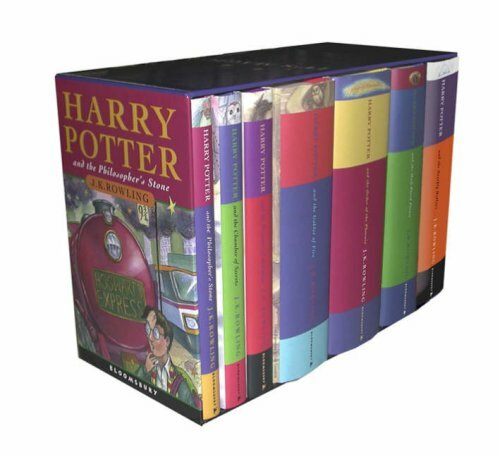 The Harry Potter novels are prize-winning and consistently on the bestseller lists, and have now sold over 250 million copies worldwide. Originally published as an author for children and still primarily so, J. K. Rowling has generated huge popular appeal for her books in an unprecedented fashion. She was the first children's author to be voted the BA Author of the Year, and also to win the British Book Awards Author of the Year. Films of Harry Potter and the Philosopher's Stone, Harry Potter and the Chamber of Secrets, Harry Potter and the Prisoner of Azkaban and Harry Potter and the Goblet of Fire distributed by Warner Brothers, have been released to huge success. For a full list of prizes please see the website.